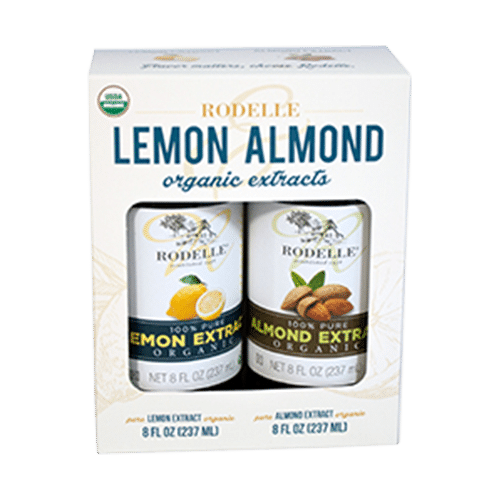 Unique to Rodelle, the Organic Lemon and Almond Gift Set is the perfect complement for fall baking. Two 8oz bottles of USDA Certified Organic Extracts, Lemon and Almond are made with only pure ingredients, with no artificial flavors or additives. This gift pack provides organic extracts at a great value for home and professional bakers alike. Available exclusively at select Costco stores.